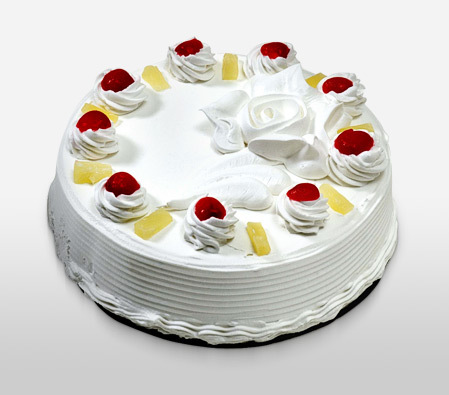 Send your warmest wishes along with this irresistibly delicious Pineapple cake made from juicy pineapple chunks, fresh cream and cherries and make any occasion a celebration to remember. Product Image is for reference, Actual product may look different. Contains eggs.